It was one of those dishes which have got to be seen to be believed in. 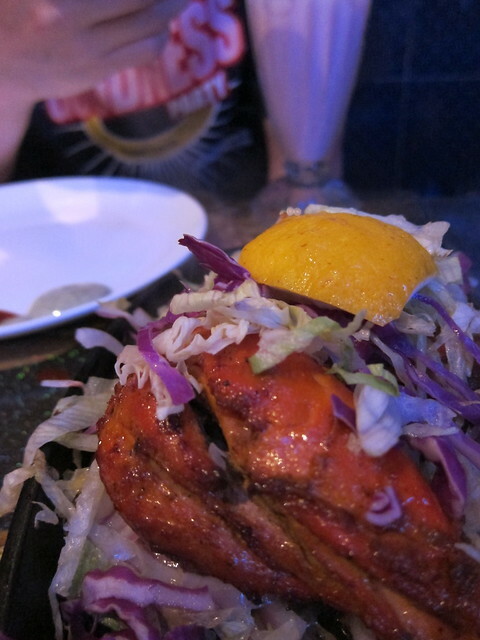 The lamb tandoori is a signature dish at The Clay Oven. It’s an Indian family-style roast whole lamb leg, a good dish for winter. A whopping 5-6 pounds of chilled lamb from New Zealand (good for a group of 5-6 person) were marinated with various ingredients and Indian spices in its chopped part – instead of whole lamb – so that the flavour really soak into the meat. 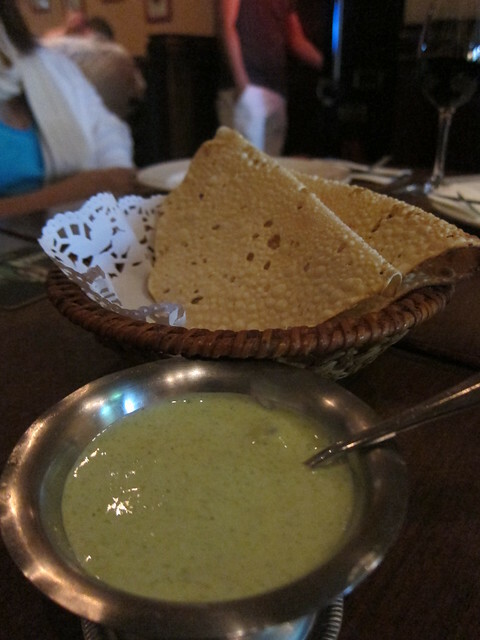 The moment I walked into The Clay Oven, I knew I was in for a truly authentic Indian experience. From the music, the wallpaper, the cutleries, the lighting, the menu downright to the table mat, everything was screaming Indian but in a very understated, laid-back, almost char chan teng way. The menu was extensive, and it was obvious The Clay Oven is popular amongst the locals and foreigners, many of whom seem to be very at home with the waitresses. I was all ready to be spiced out for the night, so when the waitress served the starter without being prompted, I dug right in. 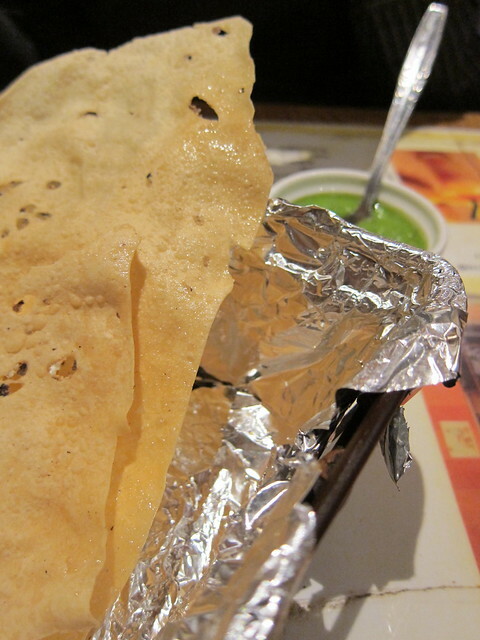 The masala popadam, without a doubt, was the best dish of the night. 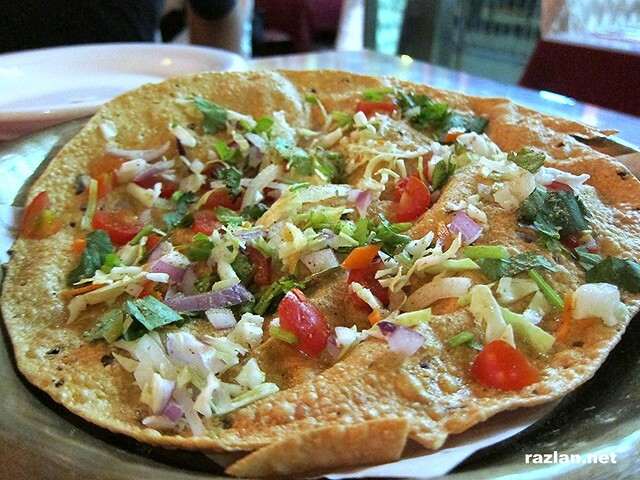 A large piece of crispy popadam topped up pizza-like with onions, chopped mint leaves, cherry tomatoes and cabbages. With a dash of lemon juice somewhere (I can’t tell, for the popadam remained crispy throughout the five minutes it spent on the table), it was a refreshing start to the dinner and got my appetite going. 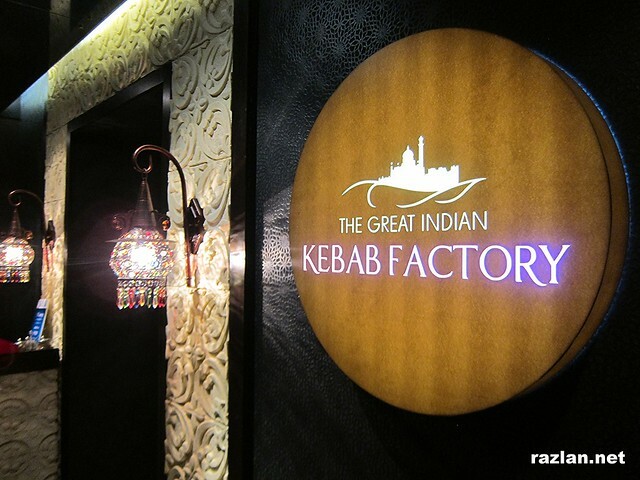 I had always wanted to try The Great Kebab Factory, ever after reading Dim Sum Diaries’ review on the Indian restaurant located right in the smack of Lan Kwai Fong. So when I saw a Groupon deal for a somewhat like a kebab tasting menu, I knew it was too much of an irresistible deal for me. Located at the 19th floor of Wellington Place, locating the restaurant was easy, but I wasn’t ready for what was in store for me. Despite its name, the restaurant is far from being a “factory”. As I stepped out of the lift and walked into the restaurant, I was awed by how posh everything looked. The warm lighting, clever use of multicoloured lamps, velveted furniture and deep dark wood created an atmosphere both cosy yet stylish. 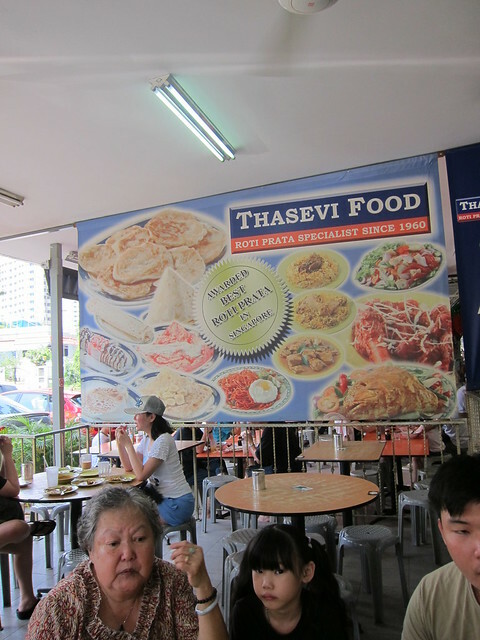 I have been living in Singapore for ten years and not once had I been to the famous Jalan Kayu Roti Prata. When I exclaimed as much while we were on our way there for breakfast during my recent trip back to Singapore, my friends looked at me in incredulity and wondered what kind of university life I had. Not much of a life, if you don’t count endless book mugging and computer games, heh! So! Apparently Jalan Kayu Roti Prata is one of those place university students hanged out for late night suppers when the semesters are in session. I don’t know about you, but unless you have four wheels at your command (together, not separately), it is kinda hard to travel all the way out from Boon Lay to Jalan Kayu, and back. The ridiculous taxi fare alone could probably buy you enough roti prata to last you one whole year. So there we were, sitting in my friend’s car (look ma, no taxi fare wasted!) all excited about having a spot of true Singapore experience. My worries for lack of parking space was ultimately unfounded; a spot was open right in front of Thasevi Food (that’s the stall of choice, folks). We didn’t even have to go far in search for one and then walk miles back to the restaurant. 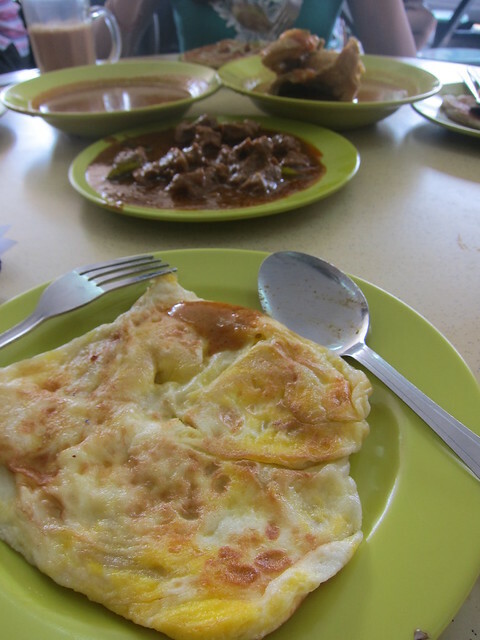 Roti telur (egg) with onions. Hello there! Did you miss me, and my blog? I missed you. My apologies for the lack of updates in recent weeks. What with me moving from my old haunt to Happy Valley, and the avalanche at work, I find myself hard pressed to find time to blog. But that does not mean I lack of material to blog. Oh no. If my expanding waistline is of any indication, I had too much material to blog about. Well, I gotta start somewhere. So let me introduce you to a gem of a find I was introduced to right here in Happy Valley, called The Chapel. 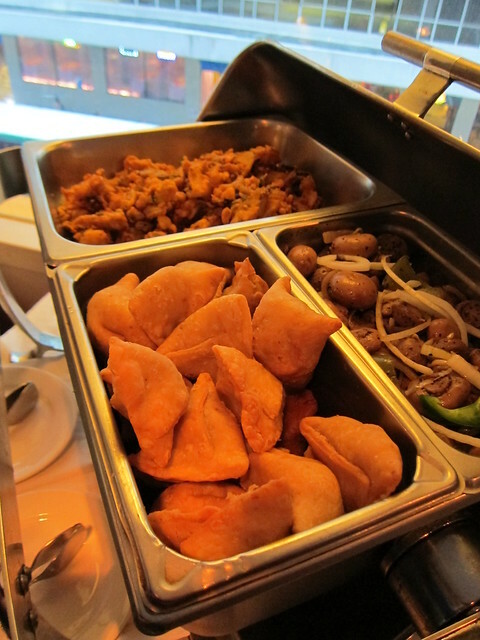 The Chapel is rightfully a bar, but a large sign right outside claim it serves some of the best Indian food in town. 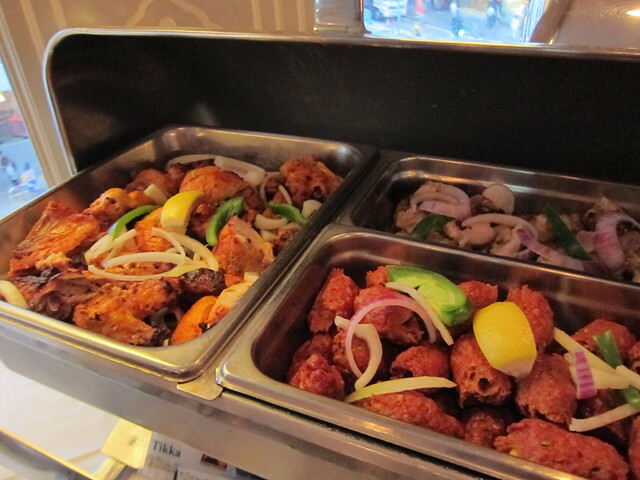 On any other occasion, I would have hesitated (great food in a neighbourhood bar, really?) but this was recommended to me by a foodie who knows her stuff. So in I went one fine weekday night, and I was not disappointed! I was overjoyed when I found this place serves real popadam. For the uninitiated, that crispy lentil flour wafer with more than just a tad of spice in it. Served with a side of mint sauce, I was transported right back to the time in Malaysia when I can devour a tin of popadam all by myself. I was that much of a glutton. 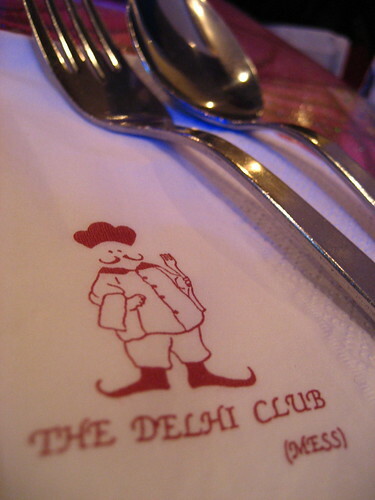 If there is only one dish you can afford to order at The Delhi Club, it has to be the tandoori chicken. Four visits later, it is still the best thing they have on the menu. It certainly wasn’t a place I would go to on my own. Chungking Mansions was certainly not for the faint hearted. From the outside it looked like an rickety, overlighted building with many South Asians (Indians, Sri Lankans and similar) loitering around. Once you approach the building, endless leaflets advertising everything from food to clothes are stuffed into your hands. It wouldn’t be that bad if these vendors didn’t start to surround you and shouted unsolicited offers, from food to suits to everything imaginable under the sun, in your face. It was worse than my experience with the insufferable touts at the Istanbul’s Grand Bazaar. Under so under considerable duress my friends and I made a choice for a dinner place (somewhat random, but hey when in doubt, just close your eyes and jab, hehe) and made our way to the third floor of Chungking Mansions, where The Delhi Club was at. The exterior of the restaurant was, like the rest of the building, plainly deceiving. Just a nondescript door that would be otherwise mistaken as the entry to someone’s house, if not for the posters decorating the wall outside. The overenthusiastic Indian proprietor of the place welcomed us in and soon we were seated somewhat comfortably in the deep cavern of the restaurant. After debating the pros and cons of Indian cuisine to the best of our limited knowledge (there were two Malaysians in the group but that didn’t add on much to our culinary advantage), we took a collective breathe and ordered… randomly. I am blogging this right after my meal at Masala. This is considerably surprising, since I have a whole string of unblogged gastronomical encounters over the past few weeks. Those, and not this, should take priority. I blame the lingering curry smell on my fingers. That, and of course the very lack of blog posts of recent days put me in a mild panic that I have lost my blogging mojo for good. But no matter. 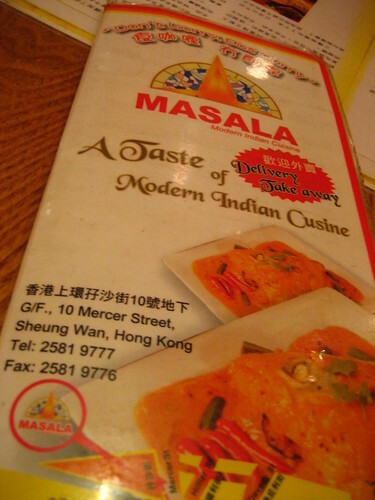 You are here to read about my dinner experience at Masala.